Wow- It has been almost a month since my last post! Time is sure flying by. DH and I just returned home from a vacation last week in Yellowstone- The scenery was amazing, but unfortunately we were affected by the government shutdown, and the closure of the park and had to cut our visit short. We took this opportunity to drive up to Bozeman Montana and Big Sky Country. Which leads me to my Stash Report for last week. 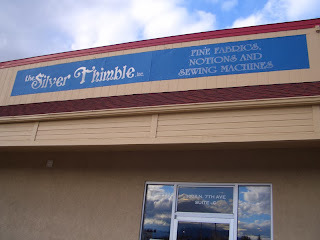 Bozeman is home to at least 5 quilt shops- I made it to three and yes, purchased a few things along the way. 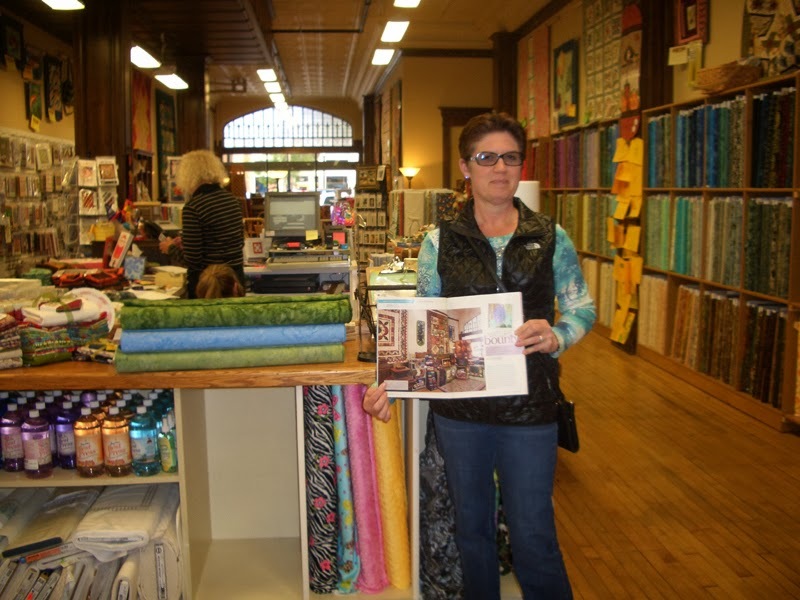 The first shop we visited was called Reproduction Fabrics. 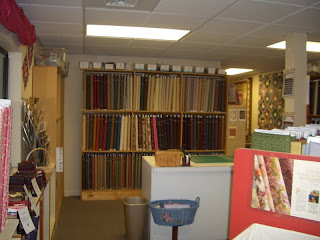 Margo has an awesome shop that only carries, you guessed it, reproduction fabrics. She does most of her business online, so the shop is only open from 12-3. If you ever want to know anything about Reproductions, Margo is the one to ask-she is a wealth of information. It is a must visit if you are in the area and yes, I did not go home empty handed. 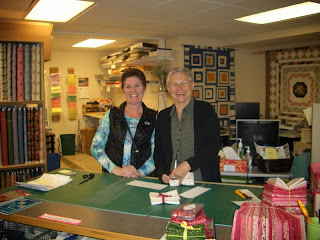 Below are a couple of pictures of Margo and the shop. 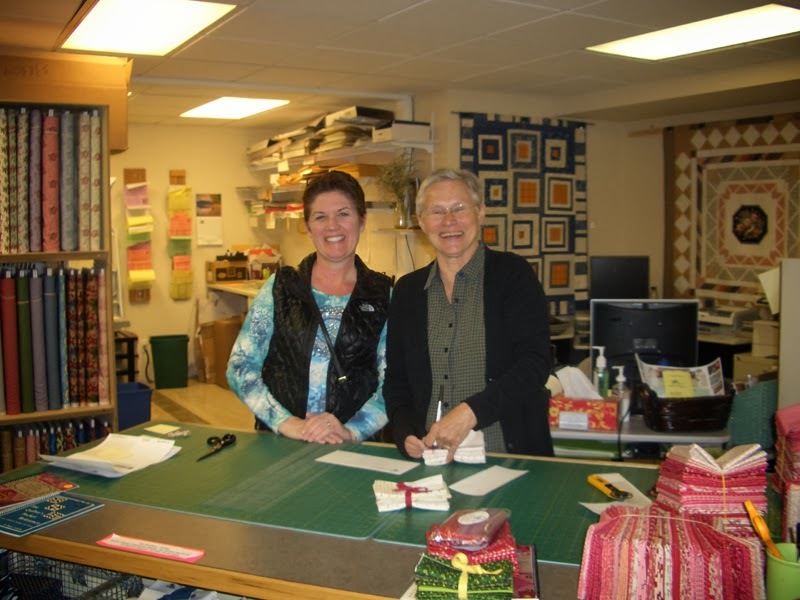 Our second stop was in Downtown Bozeman at Main Street Quilting Company. 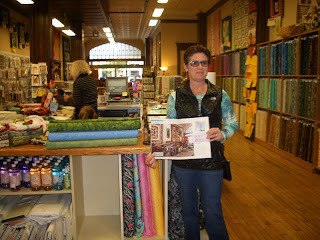 This shop was featured in the Spring/Summer issue of Quilt Sampler. 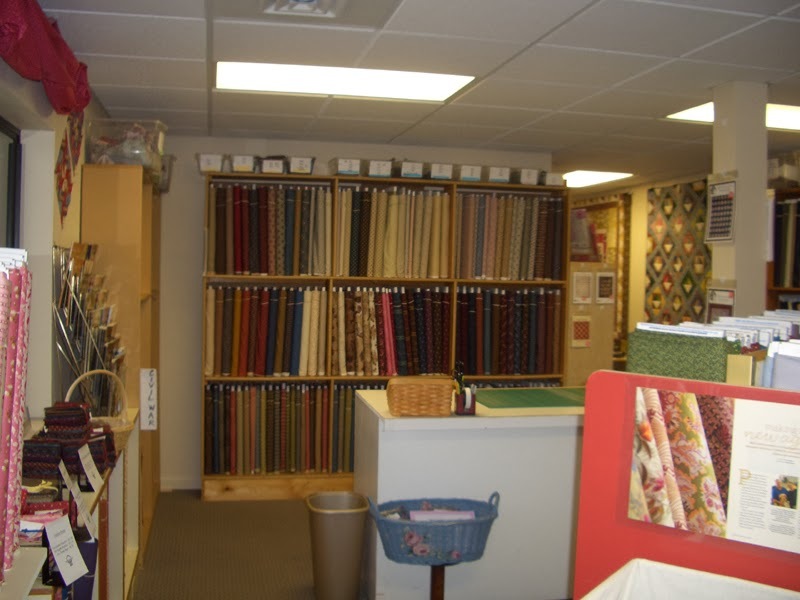 This shop has something for everyone- great selection of novelty, modern, and western themed fabrics. Our last stop for the day, (yes, I got DH to visit three quilt shops in one day!) 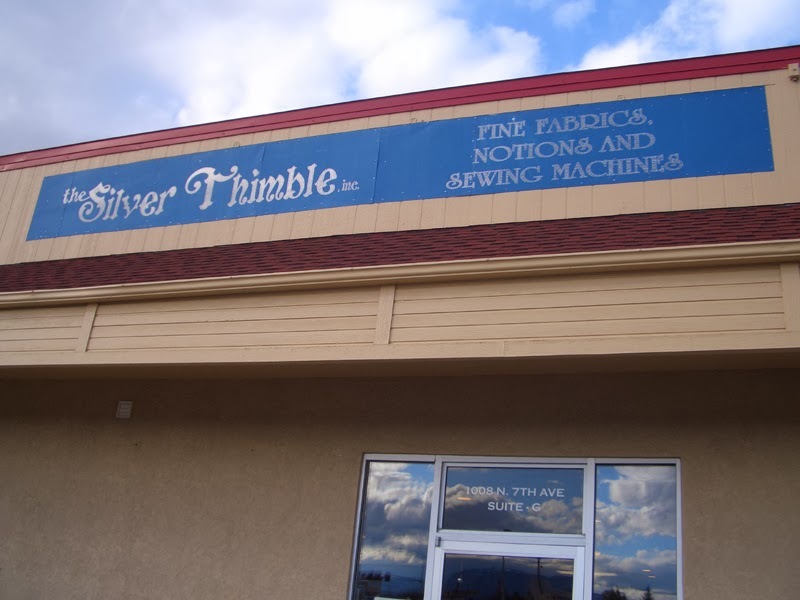 was called the Silver Thimble. 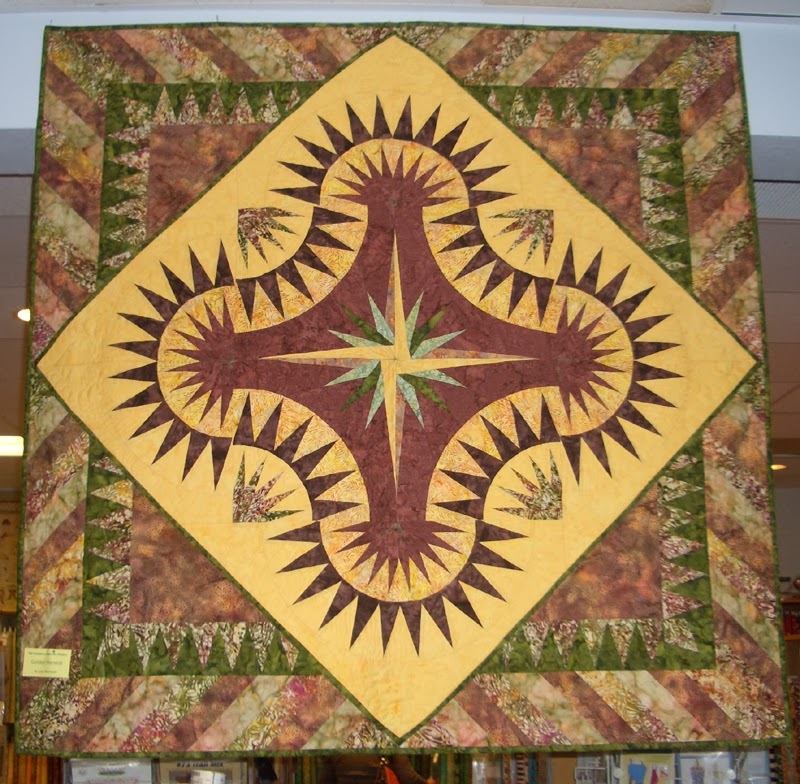 It did not look like much from the outside, but inside the first thing that caught my eye was the Judy Niemeyer quilt called Golden Harvest below, and yes I did buy the pattern! 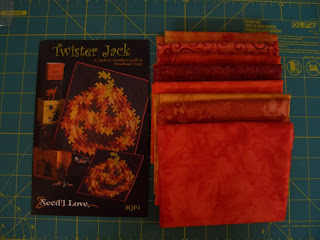 I also purchased the Twister Jack pattern below and fabrics to go with. So, unfortunately the numbers are not going in the right direction, but boy did I have fun! 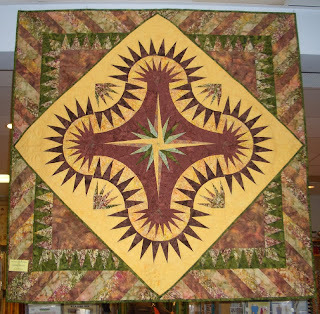 The Golden Harvest is beautiful and so striking! Look forward to seeing the color line you picked out. 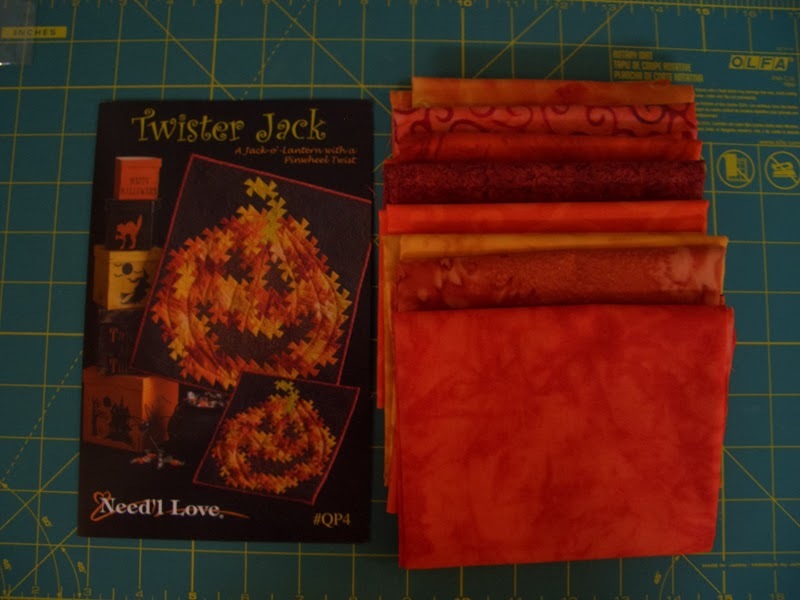 Jack Twister is also a cutie. Having a super, special time with San.